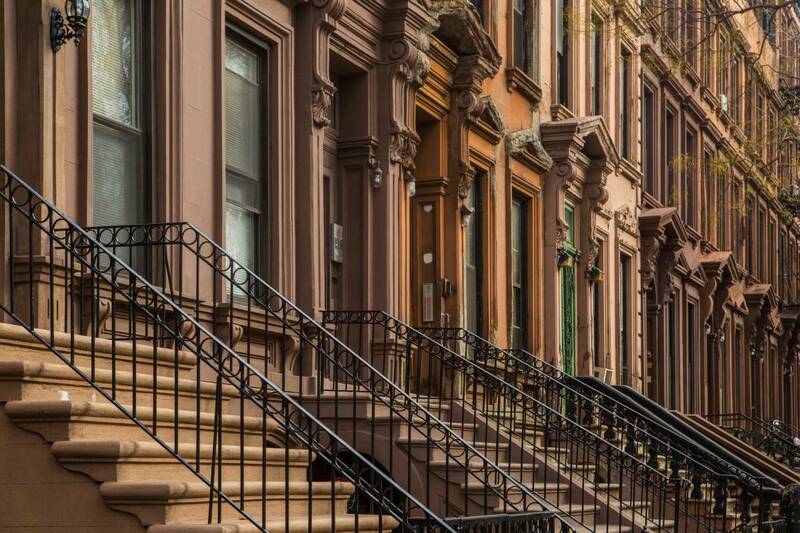 The Legal Aid Society filed an Article 78 in New York Supreme Court recently on behalf of six long term tenants from a City-owned building in rapidly gentrifying Harlem. In 2008, these tenants, including an 82 year old senior, a veteran, and other long term residents of Harlem, were temporarily relocated from their building with the City’s promise to renovate the building, move them back in, and transfer ownership to the tenants as cooperative homeowner, as per the City’s Tenant Interim Lease Program (TIL). “The Tenant Association of 206 West 120th Street is fighting for their home after over a decade of broken promises and false reassurances from the City of New York. Despite the City’s incompetence, confusion, chaos, and years of delay, NYC’s Department of Housing Preservation and Development has wrongfully terminated my clients from their opportunity for cooperative homeownership. This winter will mark a decade of displacement—of holidays away from home, and broken promises. But my clients are not giving up, and The Legal Aid Society will fight every step of the way to get them home and force the City to keep their promise,” said Jason Wu, Staff Attorney with The Harlem Community Law Office at The Legal Aid Society. Ten years later, the building remains boarded up, while the tenants are dispersed throughout the city in temporary housing with no sign that they will ever return to their homes. The Article 78 challenges the City’s termination of their building from the TIL Program, with the goal of stopping the City from selling off this property to a developer and reenrolling these tenants back into the TIL program, securing needed renovations to the building, and ensuring that these tenants become cooperative homeowners. The lawsuit brought by Jason Wu, Staff Attorney at The Legal Aid Society, shows a clear pattern of the City’s mismanagement and the many arbitrary hurdles imposed on the tenants of this building. There have been longstanding reports and complaints about HPD/the City and their mismanagement of the TIL programs, including a DOI investigation of HPD for corruption, along with HPD publicly acknowledging their many failures with these programs. “206 West 120th Street is just property to HPD, but for me and my neighbors this is our home. In 2008, HPD told us we had to move so the building could be renovated and they promised us we would return as homeowners. Ten years later, the building still has not been renovated and we are still displaced. HPD told us to be patient, and we were. I am now 82 years old and I need HPD to do the right thing—give us our home back,” said Laura Edwards, 206 West 120th Street Tenant Association member, 82 year old senior tenant. “When I moved to 206 West 120th Street, HPD told me the building would convert to an affordable housing cooperative. I was excited to move-in and become a first-time homeowner. I am an active service member of the U.S. military and in New York’s National Guard. I was deployed oversees in Iraq until April of 2018. Shortly after I returned to the U.S., I received HPD’s notice terminating us from the TIL Program, effectively taking away my home and the home of my neighbors,” said Jamal Kilkenny, 206 West 120th Street Tenant Association member, active service member of the U.S. military and in New York’s National Guard. “I urge HPD to reinstate 206 West 120th Street in the Tenant Interim Lease co-op conversion program. The residents of 206 West have been diligent in their efforts to comply with TIL’s self-management and reporting requirements. Despite their 10-year displacement, the residents of 206 West remain committed to seeing through the co-op conversion process. That 206 West’s conversion has not already been completed highlights the serious problems that plague this once promising and successful City program,” said Public Advocate Letitia James. “Renters in the Tenant Interim Lease Program were promised a path to coop ownership, but what they’ve gotten is waits of years, sometimes decades, for the Department of Housing Preservation and Development to make necessary renovations and follow through on that promise,” said Manhattan Borough President Gale A. Brewer. “Mayor de Blasio and HPD must do right by TIL tenants like those at 206 West 120th Street, and help get these New Yorkers back on track to develop their building into permanent affordable homeownership for the City of New York,” said Manhattan Borough President Gale A. Brewer. “The property at 206 West 120th Street that was in the TIL co-op conversion program - a program that offers low-to-moderate income people the opportunity to become homeowners - is exactly the type of affordable housing property that the City should be helping to preserve in an affordable housing and homelessness crisis in a rapidly gentrifying community. Buildings like 206 West 120th Street should not be sold to developers to be kept as rentals, but instead turned over to the tenants who have poured years of their lives into making their dream of homeownership a reality,” said New York State Senator Brian A. Benjamin. “Community Board 10 is strongly committed to home ownership opportunities within our District and beyond and believe that the termination of this group of potential owners from the TIL Program fails to recognize and take into consideration a myriad of facts and circumstances. We strongly believe that the decision of HPD to terminate is not only arbitrary but precipitous and less drastic options should be so pursued,” said Charles Powell, Manhattan Community Board 10.